West of Grand Lake St. Marys in Mercer County, you’ll come upon the village of Coldwater, Ohio. This small-town atmosphere has been rated one of the best places to raise a family in Ohio. Around 4,500 people live in the community of Coldwater. Coldwater was originally platted more than 150 years ago, named after the nearby Coldwater Creek. As a tight-knit community, Coldwater is centered around neighborhood activities. High school sports are popular among local residents, and the annual Coldwater Community Picnic in August is a great time to gather for fun and food. Chickasaw Garage is proud to serve Coldwater with accurate auto repairs and service. For more than 80 years, our customer-focused approach to service has set us apart from our competition. Our family-owned and operated repair shop strives to develop long-term relationships, while providing the best service and repairs for you and your vehicle. 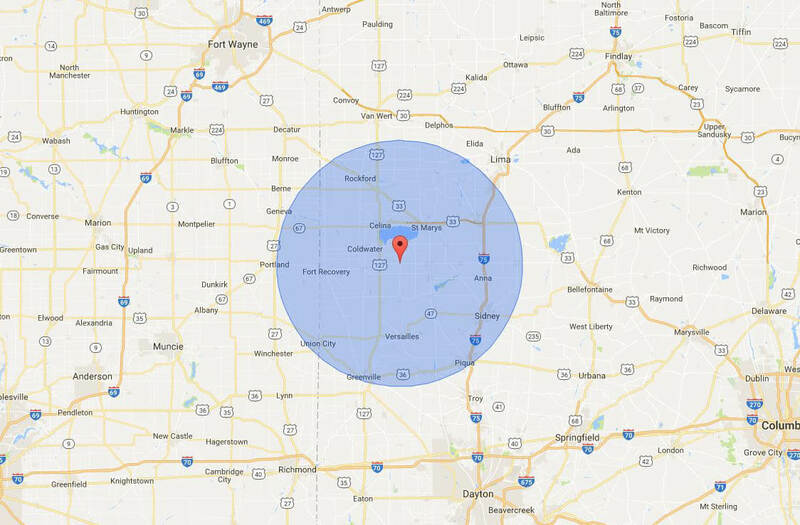 You will find us conveniently located on West Franklin Street in Chickasaw, just ten miles from Coldwater.